Brendan Gallagher is a photographer, Shane Quinn works for Belfast Buildings Trust - both are passionate about people, history and telling stories that matter. After meeting in Debenhams at the turn of the millennium, Brendan and Shane have gone on to have thriving creative careers documenting narratives and portraits across Northern Ireland. Successful Belfast is their challenge to our city to encourage us to think about it in a different way and become more proud of where we live. 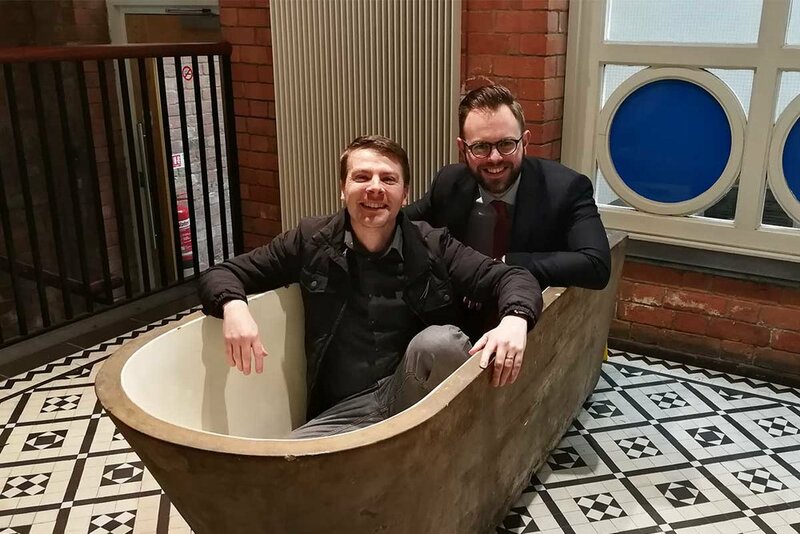 During the interview I did with them for their blog, I enjoyed the conversation so much that I invited them back to Ormeau Baths to chat more - only this time with the microphones on. On today’s show, we chat about identity, heritage, civic pride, mental health, what a Successful Belfast looks like and how we can get there. Thanks again to Brendan & Shane for taking the time to share their story with us!